Apprentice Connor McGovern is fast making a name for himself in Northern Racing circles. Luckily for us, he is based with David O’Meara so we have no trouble securing his services. 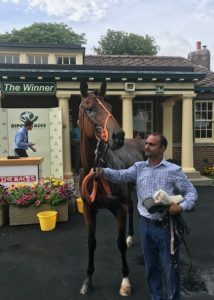 Over the first week in August, ‘C-MAC’ or ‘The McGoverner’ as we like to call him, showcased his skills superbly firstly with Jacbequick and then buy completing a Gallop double with Billy Dylan. 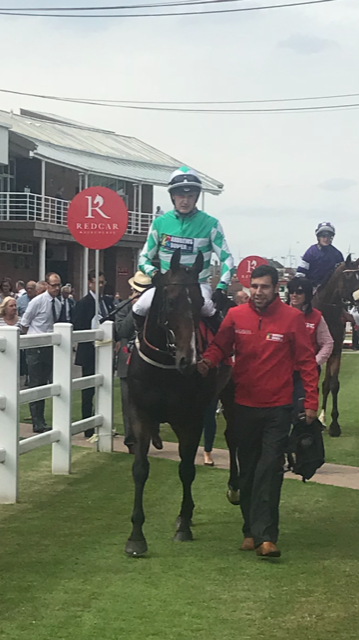 Jacbequick dropped into a seller for the first time and went off an odds on favourite at Redcar over 1m2f. With a mixture of strength and finesse, Connor finally managed to persuade Jack that putting his head in front wasn’t that bad. With a claimer up and coming at Jack’s beloved Beverley, we bought Jack back to run in this despite interest from a famous southern jumps yard. Billy Dylan completed a Gallop double later that week with an all the way success at Ripon. C-MAC kept it simple with Billy wearing first time cheek pieces, taking two lengths out of the field from the gate. 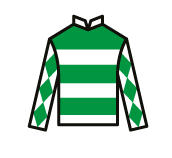 We though leading was important and the Ripon race seemed to prove that with Billy battling well when joined and eventually running out a comfortable one length winner. 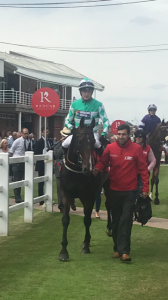 It was left to Jacbequick and C-MAC to complete the treble, with Jack winning comfortably for the sixth time at Beverley. Jack was subsequently claimed by David Pipe to start a new career as a summer jumper. We wish all new connections well and look forward to watching Jack with interest. Jack is a quirky but likeable horse who has served us well, with the undoubted highlight his class 3 win at York.